I have a long history of "Earth Day" being more like "Earth Week." That is what happens when you teach at a very green "Maryland 'Green' School" for 7 years... then move to another school & put yourself on the committee that's committed to getting it certified as "green" school too. For some of us, that means we get to piggy back one week with another week on top! 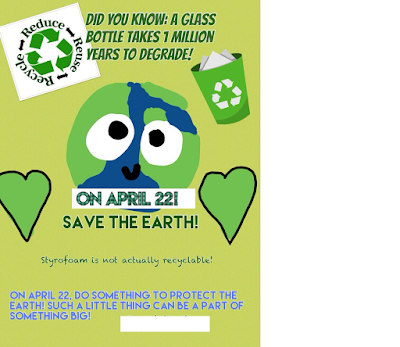 2 weeks celebrating, honoring, and protecting the Earth! One-twenty-sixth of a year! I love it! I'll take it. It also goes to show you that it can and SHOULD be more than a day! Here is a slew of educational technology activities that tie nicely to Earth Day. May these be a lovely way to extend and continue that celebration and protection of Mother Earth! Plus, it's through taking action and working to make a difference that we all feel like we are indeed doing something. This is what it will take to shift the pendulum to where we feel like we are standing up for what is important for us, taking advantage of innovative trends, and moving forward to where we all should be! 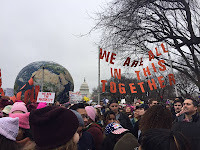 Given the Earth is what we all share, join together with other class to share your class' promises to protect the Earth. 10 edtech ideas to get your students inspired and involved. 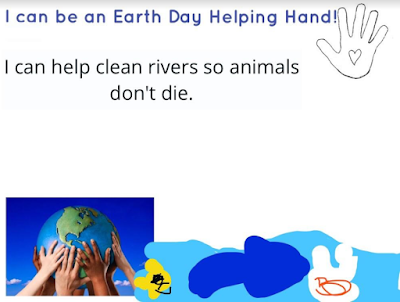 "These fun Earth Day activities help empower kids to have a positive impact on the planet. Activities to brainstorm edtech ideas how to celebrate Earth Day. Investigate how solar energy can be transferred through a solar updraft tower. Use ARMAP to see the "Who, What, Where, and When of U.S. Arctic Science." Use your LittleBits to invent and come up with #eco inventions! Images from http://www.greenteamgazette.com/2014/07/ecs-re-greening-2014.html, http://www.greenteamgazette.com/2017/04/earth-day-is-on-its-way-april-22.html and student digital creation this Earth Day 2018.